A New Westminster arts organization offers Tellers of Short Tales, a program of monthly readings designed to engage fans of the short story genre with emerging and published short story writers. Also, an open microphone will be available for writers who would like to share their stories. The program is free for fans. In the last week of July, we got locked out of ‘uddari@live.ca’ because of an ongoing tug of war between us and Microsoft Outlook where the program wants to be used but we don’t want to get into it. We are replacing the old address from our pages and posts but you may still find it somewhere. If you do, please let us know so that we can update it. Thank you for supporting Uddari. 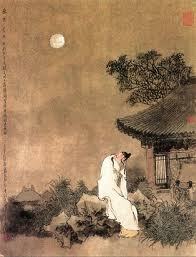 Poems of Chinese poet, Li Bai (701-762). Translated by Randeep Purewall, edited by Fauzia Rafique.